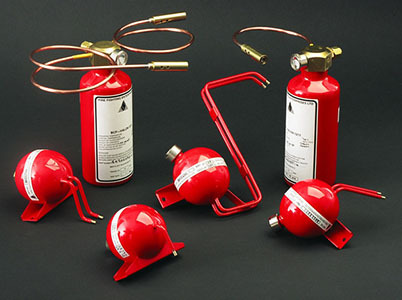 Fire extinguisher | Dimitolo Aircraft Technology s.r.l. Since 1988 Dimitolo Aircraft Technology Srl has been the Italian Representative of Percival Aviation Ltd, which distributes ‘Fire Fighting Enterprises’ fire extinguishers. 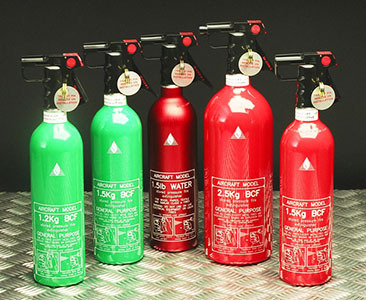 Thanks to years of experience, our company has supplied technical and commercial assistance for the installation of the hand fire extinguishers by our customers, on several models of helicopters and aircrafts. We can also supply the relevant brackets, whose dimensions may vary according the fire extinguisher’s size, as well as the relevant spare parts as handles, triggers, labels, disc indicator etc. Dimitolo Aircraft Technology Srl guarantees each equipment is provided with the proper certification released by the Airworthiness Authority. 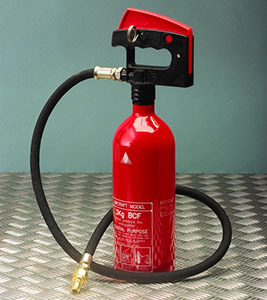 Fire extinguishers can be fitted with a special discharge hose , in order to protect the avionic part on board and all hardly accessible zones, as cargo compartments. 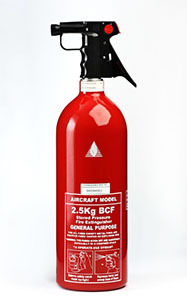 We can provide fire extinguishers expressly designed for toilet, which can be fitted to every kind of aircraft.